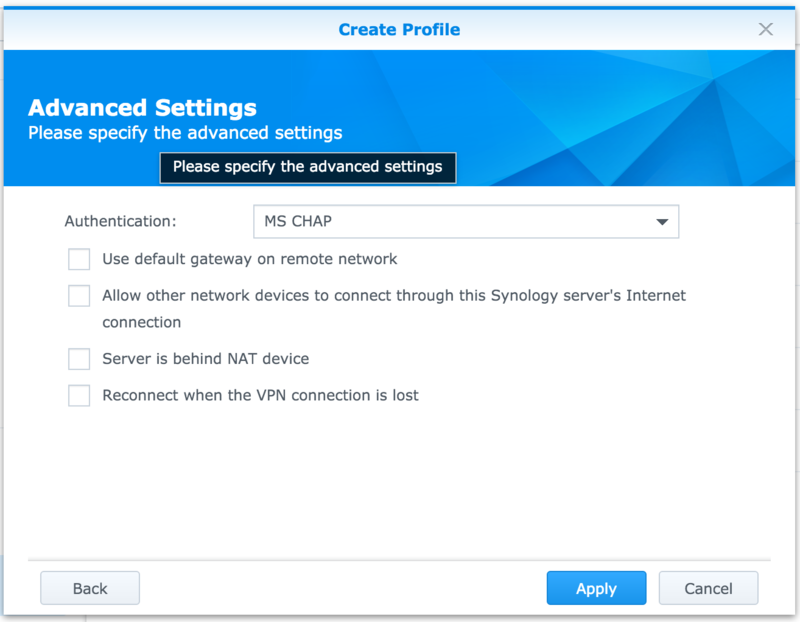 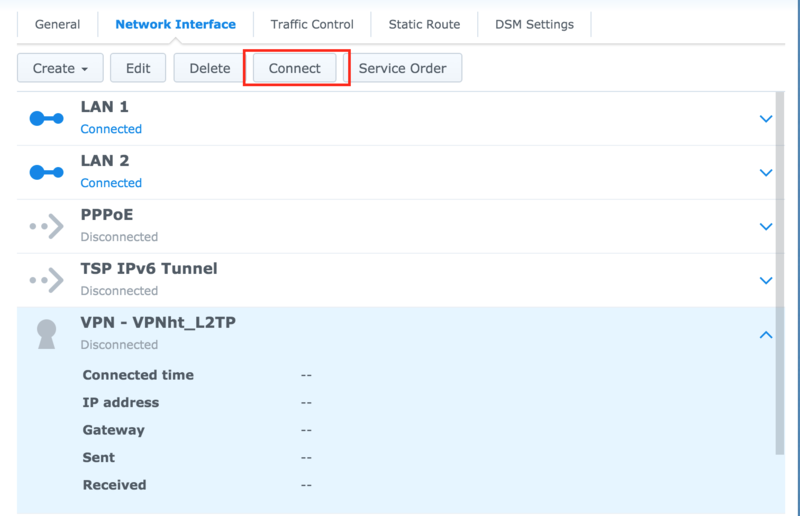 Setup VPN Client on Synology - Base de connaissances - VPN.ht. 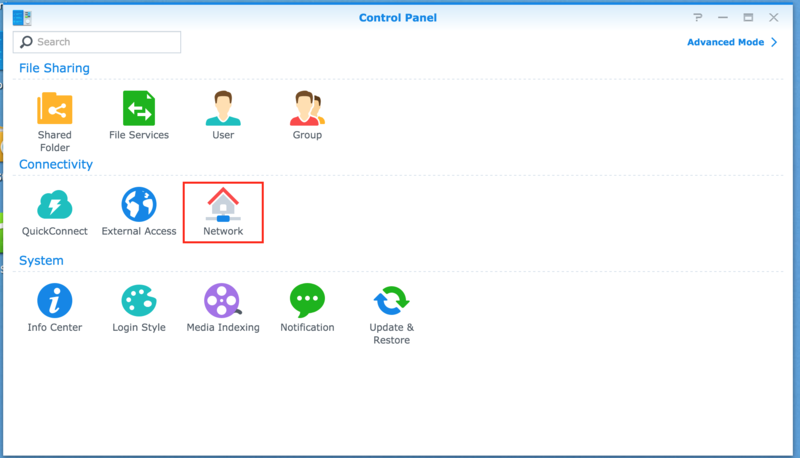 Open the control panel and navigate to the network section. Select your newly created VPN profile and press 'Connect'. 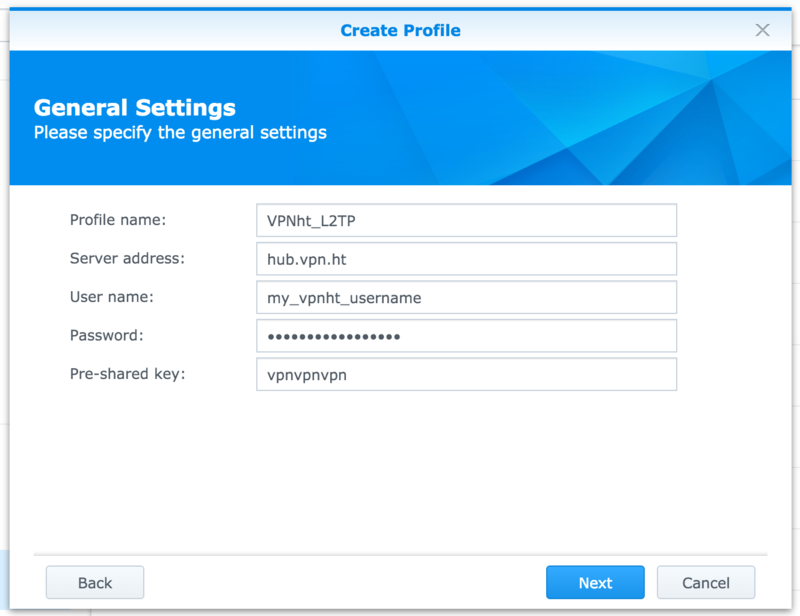 How to setup OpenVPN ChromeOS ?